Little Rock, Ark. – Southern Bancorp announced today its plans to open a Loan Production Office in the Montgomery County community of Mount Ida, Arkansas. This will be Southern’s 46th location in a market area spanning both Arkansas and Mississippi. The Mount Ida location will be led by Market President Greg Black, a Mount Ida native who began his banking career there nearly 20 years ago. During his career, he has served as Vice President and President of Lending for numerous financial institutions throughout Southwest Arkansas and Oklahoma. He is a 1991 graduate of Mount Ida High School and received his Bachelor’s in Business Management from Arkansas Tech University in 1995, and in 2004 he graduated from the Southwest Graduate School of Banking at Southern Methodist University. He and his wife Angie have been married 20 years and have two daughters, Addison and Olivia. 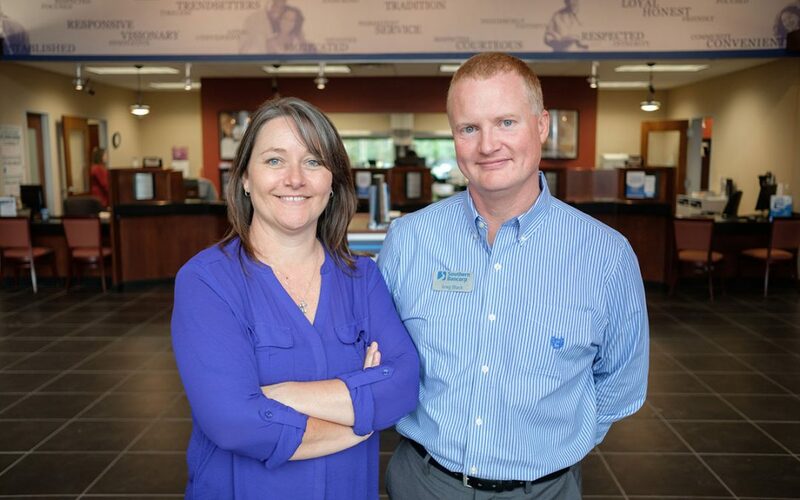 Also joining Southern as Loan Administrative Assistant in Mount Ida will be Anna Horrisberger, who has worked in lending in Montgomery County for the past eight years. She and her husband of 20 years have two adult children. The Mount Ida office address will be announced at a later date. It is scheduled to officially open in late 2018, with a full-service branch to follow. For loan information or other inquiries, call Greg Black at 870-490-0316. Southern Bancorp, Inc., a bank holding company; Southern Bancorp Community Partners, a 501(c)(3) development finance and lending organization; and Southern Bancorp Bank, one of America’s largest rural development banks; were founded in 1986 by a group of business, political and philanthropic leaders who were concerned about the economic decline of rural America. All three entities are U.S. Treasury certified Community Development Financial Institutions (CDFIs) collectively known as “Southern.” With $1.3 billion in assets, 50,000 customers and 46 locations in Arkansas and Mississippi, Southern invests in people and businesses in rural communities; empowers them to improve their lives; and helps them transform their communities. Learn more at www.banksouthern.com.